Bottled Water or Bottled Environmental Damage? GUEST ARTICLE: While clean safe drinking water is vital for human health, Australians are becoming increasingly thirsty for bottled water products writes Jeff Angel (Director of the Total Environment Centre). A recent report by the Earth Policy Institute said global consumption of bottled water rose 57% from 1999 to 2004 to 154 billion litres, with Australians consuming 550 million litres every year. And with the current big push from beverage companies of this ‘new’ product, the market is expected to keep growing to a worth of over $460 million per year. Bottled water is an unjustified luxury that, except for essential safety or medical reasons, is simply a fashion statement roaming free of environmental responsibility. The life cycle of a plastic bottle goes through various stages – producing the package, water sourcing, transport of a heavy product, merchandising, sale and eventually disposal. There are many serious implications at each of these stages. The worldwide packaging for bottled water requires 2.7 million tonnes of plastic each year, with growing concerns about the environmental costs, such as the pollution and resource depletion from the oil, gas and coal used in the production process. The raw material cost will increasingly reflect its use as a crude oil derivative. The NSW Department of Environment and Climate Change estimates that about 200 millilitres of oil is needed to produce just one one-litre bottle – and billions of bottles are produced each year. The bottled water industry disputes this – but then they have crafted arguments that make them look like green warriors and a great social service. Not only does the production process have serious environmental implications, but the sourcing and extraction of the so called ‘spring water’ is endangering local groundwater supplies. The bottled water industry is licensed to take 1,800 megalitres of water from the groundwater system in NSW every year. Note that the industry tries to play down its water impact by placing itself in the context of continental water supplies. However, local sourcing can result in exhaustion and depletion of underground aquifers which have a flow on effect of drying out swamps and other water bodies, threatening aquatic plants and animals already under stress from the drying climate caused by global warming. Coca-Cola Amatil is currently fighting the local community and Gosford City Council at Mangrove Mountain, north of Sydney, to triple its water extraction to 66 million litres a year. Groundwater feeds into the area’s rivers and streams and currently the Mangrove Creek Dam is at less than 22% of capacity. This fact and the noted lowering of the groundwater table in the area call into question the sustainability of local groundwater aquifers for bottled water extraction. The economics are also of concern. If Coca-Cola Amatil is allowed to triple its extraction, it will be able to sell the water to retailers for around $18 million. This is far above the government’s extraction fee. The average price of bottled water is $2.53 a litre against about a cent a litre for tap water. Bottled water, often attractively described as ‘pristine’, ‘pure’, ‘clean’ and even ‘organic’ in marketing, is between 240-10,000 times more expensive than tap water – more than is paid for petrol, even though approximately 25% of bottled water has been sourced directly from municipal tapwater systems. Over 90% of the cost of bottled water is associated with the bottle, lid and label. There are also significant costs in the shipping and transport of bottled water (a heavy commodity), particularly over long distances, resulting in burning massive amounts of fossil fuels. Hundreds of thousands of tonnes of global warming pollution is produced every year by shipping bottled water from places such as Fiji. Talk about food miles! However, the most devastating cost to the environment is the disposal of used bottles. Whether dumped into landfill or dropped as litter, the increasing number of water bottles is a growing problem. Approximately 70% of plastic drink bottles end up in landfill and take up to 1000 years to biodegrade. While not being the most numerous litter item, they do take up a lot of space compared to other types of waste, comprising 38% of the total volume of litter. Bottles that do not get recycled or landfilled pose a serious threat, according to the founder of the Beach-combers and Oceanographers International Association. 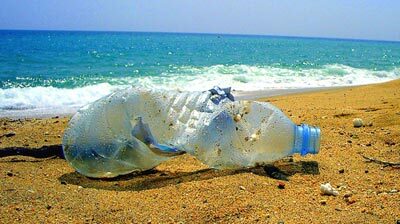 A one-litre plastic water bottle could break down into enough small fragments to be washed up on every kilometre of beach in the world. There are an estimated 13,000 pieces of plastic on every square kilometre of the ocean surface. These tiny pieces are easily swallowed by marine life and can have a deadly effect. More than one million seabirds and 100,000 marine mammals are killed as a result every year. And it’s not just bottles tossed overboard; any bottle dropped anywhere can eventually make its way into the ocean. Despite the enormity of all these environmental costs, there exists the argument that bottled water is better for human health. However, while access to clean drinking water is an issue in some countries, Australia is not one of them. The Australian Drinking Water Guidelines which provide the framework for those who manage and deliver Australia’s water resources are far more stringent than the Australia New Zealand Food Standards Code that regulates bottled water. A recent analysis of bottled water published in The Australian, found that the best selling bottled water was no cleaner than the cheapest brand and none of the bottled water tested was any better than tap water from Melbourne, Sydney and Adelaide (which is regarded as having the murkiest tap water). In fact, an estimated 25% of bottled water is found to actually be just tap water in a bottle. Furthermore, there has been some evidence that water stored in plastic bottles can be contaminated by chemicals leaching from the plastic cap or liner. Although there are regulatory standards limiting these chemicals (called phthalates) in tap water, there are no legal limits for phthalates in bottled water. Tap water fluoridation is also the most effective, efficient way to combat tooth decay. Bottled water removes the benefit of fluoride and may result in increasing tooth decay, particularly among children. So we don’t need bottled water in Australia. But then we consume lots of things we ‘don’t need’. To be a responsible consumer we need ask the question of each product – what is its environmental footprint from production, use and disposal; is there an environmentally preferable substitute; and do I really need it? The biggest change you as a consumer can make is to not buy bottled water. Use home filtering systems, refillable water bottles, and drink tap water, if you want reduce the impact on landfills, and help prevent the drying out of groundwater resources, ocean litter and global warming. This article was written by Jeff Angel (Director of the Total Environment Centre) and was originally published in the Green magazine, Autumn 2008, Issue 25. Jeff has given permission to republish the article on this website. EDITOR: I’ve added the cartoon below because it perfectly summarises how illogical it is to buy constantly buy new bottled water instead of refilling the same bottle everyday with tap water instead. Well for me it’s Deer Park water. Disanni tastes like coal. I prefer bottled water. I can taste the difference. I also like Fiji water. The city I live in actually has great water, but I still use a Brita filtered water pitcher. I recently bought a Sigg water bottle, and I love it! No worries about filling up the landfill or harmful BPA. If I do ever use plastic bottles, I recycle them. It’s really terrible how many bottles aren’t recycled. Actually, it’s terrible how many are produced in the first place! Absolutely, bottled water has to be one of the biggest scams around. I believe a lot of it is ordinary tap water anyway, and our ordinary tap water is pretty good in any case. And it’s more expensive than petrol. You’ve got to be nuts to buy it. That is so wrong of a corporate behemoth like Coca Cola, to engage in such a non sustainable practice. I am lucky, I live in the UK and where I am, the water is great. I do however have many friends abroad whos water is dangerous to drink, so they really don’t have a choice on this issue. Good post. I’ve been actually re-filling my old water bottles for a while now. Bottled water is an unnecessary expense! This is kinda outrageous, we doante a lot of cash to charity from our organisation and we have been around the world in various regions where people can’t get water – for us to pay for it when we can get it out of a tap is really wasteful. Looking at this, even the 10L for 1L Africa campaign is still not enough to justify buying the bottled stuff. Seriously, the bottled water is nothing more than the normal water. They just packaged it to look as if the water comes from heaven. Why spend so much on bottled water? There is an easy way to make your own bottled water. Get an empty bottle and fill it up with plain water..Simple and fast. While the tap water we use may not be safe, millions of bottles of water is not a viable solution either. Besides the filling of the land fills the bpa in plastic drinking water bottles poses a significant health risk as well. Installing quality water filters is a better solution for providing pure water into our home. You guys can drink your ‘tap water’, I love my bottled water. Tap water is not water any more, same as when you add coffee or tea to water. It’s not water any more. There are over 53 chemicals in our tap water, so you guys are drinking toxic cocktails, enjoy. No wonder cancer is on the rise since all these chemicals have been added. 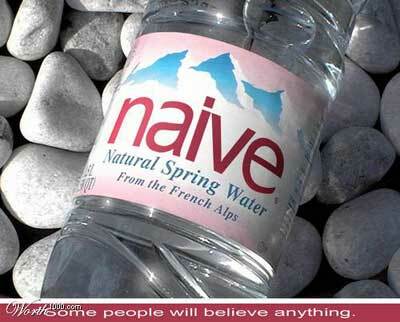 Pure, clean, tasteless Natural Mineral Water – give it to me any time. I believe a lot of it is ordinary tap water anyway, and our ordinary tap water is pretty good in any case. And it’s more expensive than petrol. You’ve got to be nuts to buy it. Tapped Producer Sarah Olson and Director Stephanie Soechtig just finished taking their award-winning documentary on a cross-country tour and spreading the truth about the dark side of the bottled water industry from coast to coast. Klean Kanteen® was a proud sponsor of the ‘Get Off the Bottle’ movie tour. We’re also a huge supporter of the film, an unflinching behind-the-scenes look into the bottled water industry. It seems like we’re doomed either way….bottled water is usually contaminated and lacks fluoride which leads to periodontal disease. But most tap water is horrible and filled with nasty chemicals. A great water filter is the solution and less pricey. Great blog. I am very passionate about the bottled water issue. It’s great that some states are putting taxes on bottled water to discourage use. Hopefully people will snap out of their plastic dreams… I use a stainless steel Klean Kanteen and a water filter, and I’m very happy that I do. It’s much better for the environment and for me, so why not? Hopefully soon more of us will jump onto the green bandwagon. After constant use of tap water take a look inside your kettle. You will see estremely high levels of limescale. In fact there is a noticeable difference in taste too. Lab tests only prove that it is safe based on some chemical reactions in the lab. But these strong chemicals may not be good for us humans in the long run. It may also explain the high levels of internal diseases in the country. On the other hand spring water is tasty and does not contain such high levels of chemicals. I agree there are companies out there making a buck but then again there are other industries also marketing lemons and making a fast buck on useless products.